Lingkaran Trans Kota Holdings is an investment and infrastructure company focused on toll roads and highways. The company organises itself into two segments: tolling operations and highway maintenance, and investment holding and other. Tolling operations and highway maintenance, which generates the majority of revenue, constructs, operates, and maintains toll roads and highways. The investment holding and other segment principally earns revenue from investments. The company is headquartered in Malaysia and generates revenue domestically. ooihk899 Chill AhSeng, EPF control counter normally won't up so fast. u can check on them once every week is good enough unless u r playing short term. cheeseburger SELL call on LITRAK. Why_ BN burden rakyat with toll increase? Next GE change to Pakatan better. Aucy86 Can anyone explain why Litrak got high debt? It is expiring in 5 years time. Doesn't seem like management want to pay it and it is impossible to pay in such short period? Free cash flow per annum ~300M :). shpg22 With such strong FCF and growing, still the safest bet for dividend stock compare to others like DIGI, MAXIS, BJTOTO, YTL. Current price 5.85 @ P/E 13.9 is fair with DY of 4.3%. 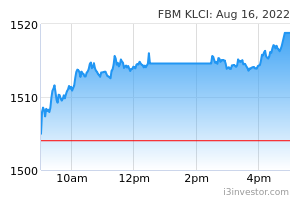 MAINTAIN BUY @ fair value 6.20.
thiam1129 Today big drop. Why? shirlyn8749 anyone can give comment abt this share, still can get up ? shirlyn8749 mean that no worth to buy in right ? SEE HOW CRAZY SHORT SELLING WENT ON FOR MYEG, GKENT AND THEN SPREAD TO OTHERS? SO TA ENTERPRIZE IS IN THE RIGHT BUSINESS AT THE RIGHT TIME!!! TA ENTERPRIZE NOW ENTERING A NEW ERA OF UNEXPECTED GROWTH!!! E SHORT SELLING BUSINESS IN VOGUE!!! This will take away business from Genting, Magnum, 4D, Bj Toto and others. 5354 If PH don't pay 1 sen for toll abolish can Litrak do anything? DO RE MI why asb acumulating ? sosfinance Prior to GE14, the price hover around RM5.60. The price has been compressed to RM3.60 post GE 14, having taking into account the negative sentiment on toll abolishment. Taking into account dividend of 25 sen each year, it should be valued approximately RM5.30 for the next 12 months. It is unlikely the new government will 'abolish' this toll. jibbie haha.. how come the star paper said litrak share jump 30%? MCA_ Balakong toll abolish what happen? A ploy by PH to win GE14 when actually cannot do? allanchong1988 no idea for the drop. Time to collect? ajibkor Najib: Almost every year I abolished tolls, what about PH? Investor128 Toll rate scheduled to increase in 2019. Govt compensating Litrak to avoid rate increase means traffic volume will not experience knee jerk reaction. 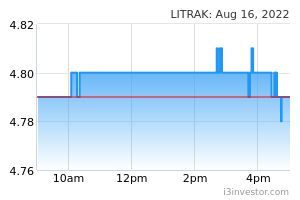 neverlose litrak expected to have good year in 2019? sosfinance Poor shareholders of toll roads, no recourse against the government. EPF/public is also screwed, EPF has 30m shares. (not sure about others). Basically, government screw a batch of people, to appease another set of people, which could be the same people. rule of law?? ?